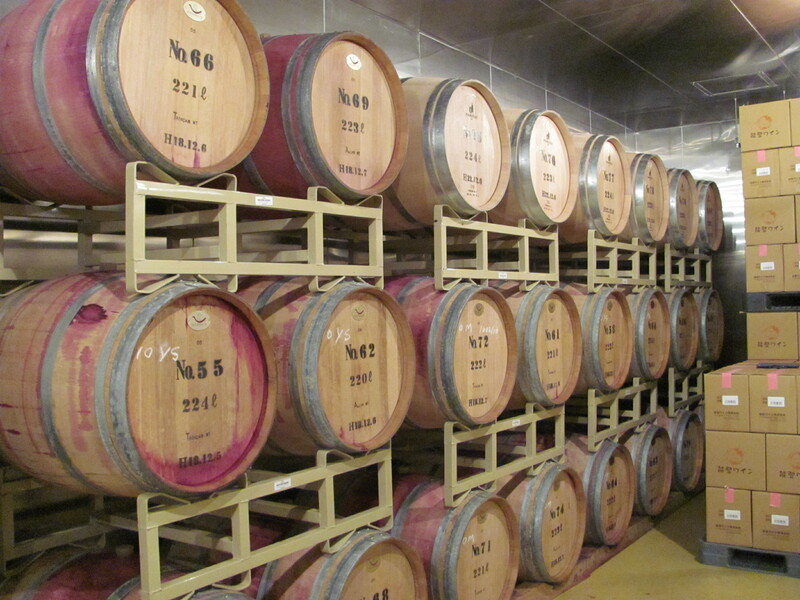 I snapped this photo in the cellar at Noto Wine a couple years ago when my parents visited. Unlike Yamanashi prefecture, Ishikawa isn’t known as a wine-producing region, but the rolling hills of the Noto Wine Vineyards in Anamizu produce wonderful grapes. Who knew? Noto Wine has been a liquor-shelf staple for me–it’s local, moderately priced, and consistently good, so it’s my go-to when I don’t feel like playing roulette with the imported wines. I’m fond of the Seibel and Sangiovese Half.